My journey which lead me in to this wonderful career path of registered massage therapy, all took place after many years of giving massages just for fun. It wasn't until one day when I was providing a simple massage to show some kindness towards my tired brother, when he shared with me saying"this is what you should do", I then realize that this was my calling. Now many years later, after successfully completing my massage therapy program at Brian College (formerly known as Elmcrest College of Applied Health Sciences), and being Registered with CMTO, working along side with Chiropractors, Physiotherapists, and over 3000 massage treatments, (newly opened) Jesse's RMT Clinical Massage has now arrived. It gives me great pleasure to welcome all individual's to my practice, where I can share my dedication to providing customized therapeutic massage treatments, to help relieve on going pain and discomfort or emotional stress, and to maximize the wellbeing of individuals by also traveling to their worksite for corporate massage. Corporate massage has now become a common wellness program, which small and large companies are now providing, which help's improve employee productivity by investing in the wellness of employee's. Studies show that 15 minutes of chair massage can reduce stress by lowering blood pressure, improve alertness, speed and accuracy on math computations. At Jesse's RMT Corporate massage aspect, I take much pride in working with employer's and employees to help bring the these great benefits to the workplace. Workplace massage is a simple, no hassle wellness program where employee's will enjoy a 15 minute chair massage or full body table treatment. This program has been proven to be a great success for companies, which participate in. 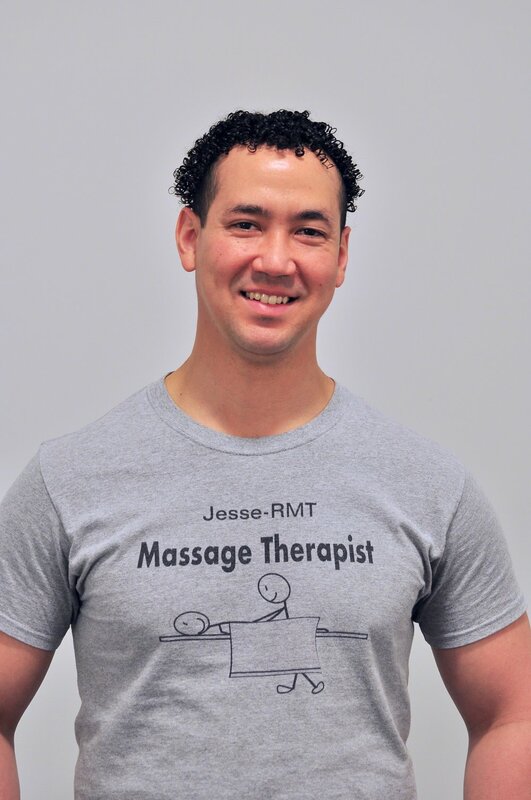 At Jesse's RMT Clinical & Corporate Massage our goal is to help your body to reach the highest potential of physical capability, through the skilled full caring touch of Registered Massage Therapy and to distress the mind from the busyness of life.